With a stay at Che Lagarto Hostel Paraty, you'll be centrally located in Paraty, a 4-minute drive from Jabaquara Beach and 9 minutes from Historic Center. 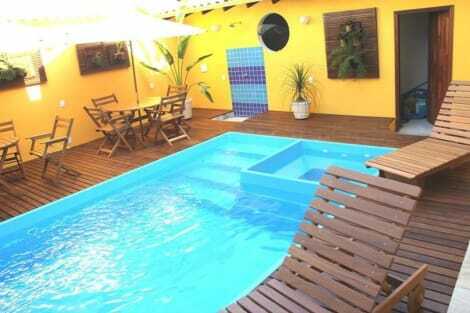 This hostel is 1.4 mi (2.2 km) from Paraty Beach and 16.9 mi (27.1 km) from Sono Beach. Make yourself at home in one of the 16 air-conditioned rooms featuring minibars. Prepare your meals in the shared/communal kitchen. Complimentary wireless Internet access keeps you connected, and digital programming is available for your entertainment. Bathrooms with showers are provided. Take advantage of recreation opportunities including an outdoor pool and a spa tub. 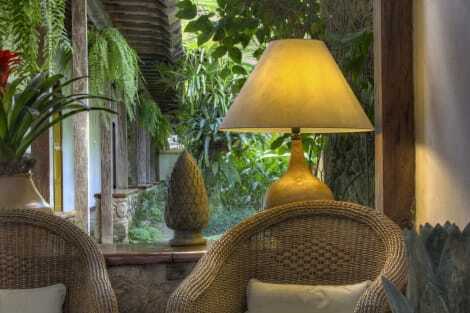 This pousada also features complimentary wireless Internet access and tour/ticket assistance. Make yourself at home in one of the 39 air-conditioned rooms featuring minibars and LCD televisions. Bathrooms have showers and hair dryers. Conveniences include safes and blackout drapes/curtains, and housekeeping is provided daily. Located over an area of 500,000 m², the hotel is close to the two main beaches of the region. It is 7 km from Prainha and 15 km from Sao Goncalo Beach. The hotel rooms have a balcony, inviting guests to lie in a hammock while enjoying the sounds from the surrounding area. Facilities available to guests at this 10-room bungalow complex include a 24-hour reception service, games room, restaurant, wired and wireless Internet access and a car park. Younger guests will be able to let off some steam at the children's playground. Completely independent and set apart from the social areas, the rooms are quiet and feature air conditioning, a queen-size bed, a living room with two sofa beds in futon style and a ceiling fan. Further standard features of accommodation units include a 26-inch LCD TV, minibar, telephone and a bathroom with a shower and hairdryer. A terrace with a hammock and a table for meals also feature. The outdoor pool with children's section, sun loungers and parasols laid out for use is ideal for relaxing with the family, before visiting the beaches and the beautiful hotel surroundings. Guests can stay in shape at the hotel's tennis court, games room and gym. A spa with sauna and massage services is also available. A buffet breakfast is served each morning at the hotel. Lunch and dinner can be taken à la carte or selected from various menu options. When you stay at Pousada do Ouro in Paraty, you'll be in the historical district, just steps from Historic Center and 5 minutes by foot from Paraty Beach. 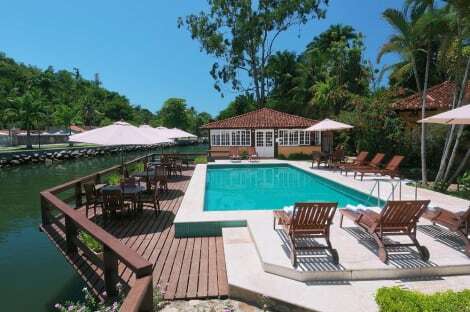 This pousada is 0.9 mi (1.4 km) from Jabaquara Beach and 17.6 mi (28.3 km) from Sono Beach. lastminute.com has a fantastic range of hotels in Paraty, with everything from cheap hotels to luxurious five star accommodation available. We like to live up to our last minute name so remember you can book any one of our excellent Paraty hotels up until midnight and stay the same night.